Surrounded by Kåseberga amazing setting located Ales stones, one of Skåne wonders. 59 large boulders standing in a ship-like formation. 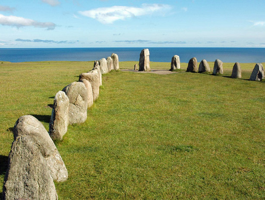 Ales stenar is one of Skåne's most popular attractions. Ales stones consists of 59 large boulders, standing in a 67 meters long and 19 meters wide ship-like formation. The stones were erected around 1400 years ago are an impressive sight where sea, earth and sky meet. Ale's Stones is the largest stone ship and one of Skåne's most popular tourist attractions. Read more here und hier 'Wandern durch Wallanderland"
Valleberga Church is the only known fortified round church in Skåne, originally built in the 12th Century. 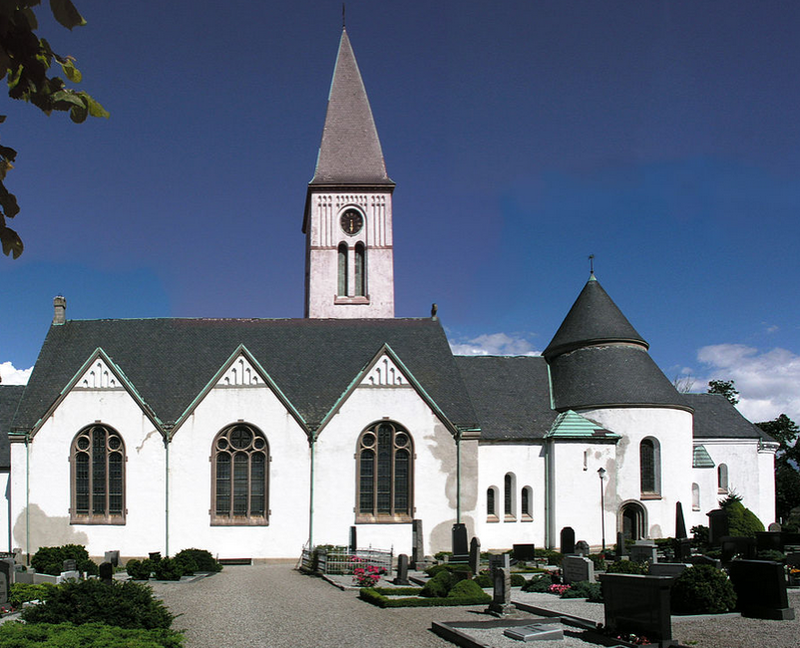 A reason for the building of the round church was that the master mason of the church, Carl Stenmester, also built churches on Bornholm, where round churches were common. The font was cut by Master Majestatis and shows one of the legends about Saint Peter and Paul of Tarsus. 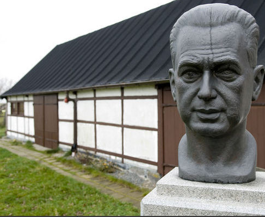 When the former UN Secretary General Dag Hammarskjöld died in a plane crash in 1961, he left Backåkra, his home in an old farm in Hagestads nature reserve as a memory of his life and work. In 2015 Backåkra is under renovation and not yet open again to the public. But it is a magnificent starting point for walks down to the seaside. 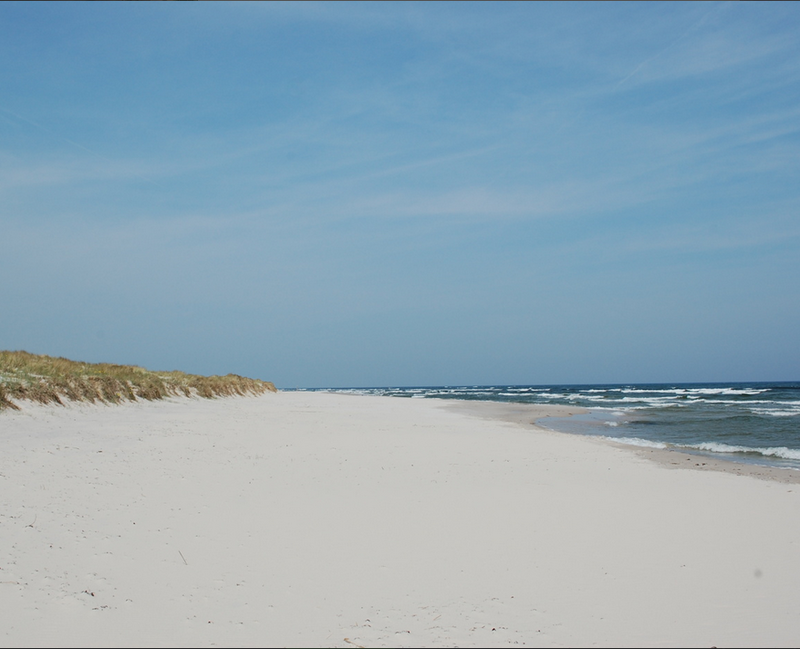 The endless beach, sand dunes and inland pine forests can be enjoyed in any season - a walk along the beach is not just a pleasure on a hot summer’s day! In winter time, even when the wind bites, you'll soon realise it's very popular to walk on the beach promenade and you might not be alone in enjoying the forces of nature along the Baltic coast. In the middle of the 19th century one of Sweden’s first lifeboat stations was established here. The old lifeboat, the oldest in Sweden, can still be seen in the old boat house. Guided tours in the light house are available during summer months. Read more about Sandhammaren and its old and interesting Light House. 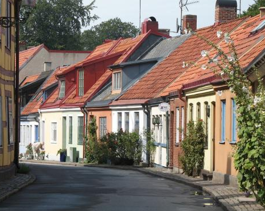 No city in Scandinavia and few in Europe Ystad can boast such a complete picture of bygone times with its more than 300 half-timbered houses. And it's an environment that is still very much alive. The city center consists of the original layout inside the three "gates" Västerport, Norreport and Österport (The 'West', 'North' and 'East' Gates). The gate to the south and the continent lies facing the port. Boats to Stralsund sailed from here were for a long time the only regular foreign shipping connections. Nowadays train, car and passenger ferries go from Ystad to Bornholm and Poland. A few hundred yards west of the port lies Ystad's Theatre is the best preserved theater building in its original state from the late 1800s. The theatre was modelled after the Opera House of Leipzig. Behind the theater building belies a series of canons mound which was built here in 1712 to defend the harbor. For fans of Henning Mankell's detective Wallander, a new website will let you wander in the footsteps of Wallander. 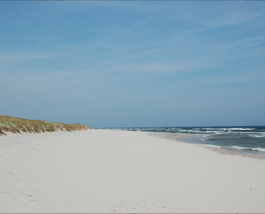 Fans of Wallander can download this information on a special Wallander in Ystad app on that page. For fans of Tatoo, the next Ystad Military Tatoo will take place in August 2017 with orchestras from around the globe participating. This year's Ystad Sweden Jazz Festival will take place 1-6 August 2017, bringing some Top International and Swedish Jazz Artists to Ystad, playing in different vicinities around the town.